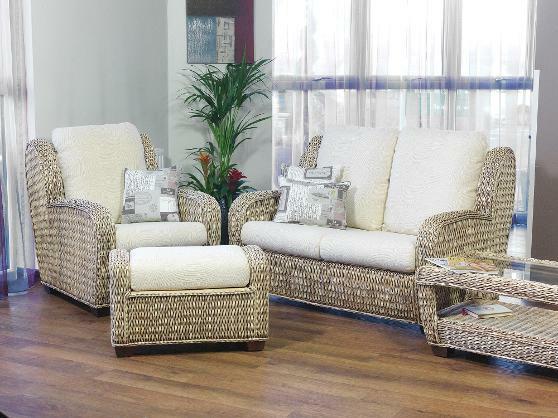 The Solimar range in Pine Wash is a classically woven cane suite. With a choice of 2 seater or 3 seater sofas along with the chair, coffee table, side table and footstool, this range provides the seating options for any room dimension. The addition of a sideboard and with the footstool being an ottoman ensures that storage need never be a problem when choosing this range. The two designs of entertainment units complete the requirements of the modern room setting. Shown in Pine Wash finish with Niagara and Postcards Natural fabrics.